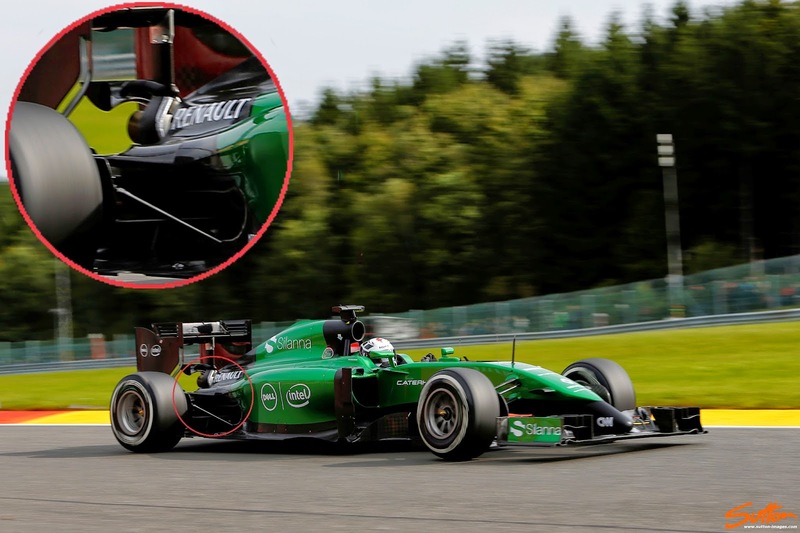 Part of the upgrade package was a new engine cover/cooling outlet, which looks to make better use of the region, not only by dispatching of the un-wanted latent powerunit heat but also by improving airflow, especially in the coke bottle region. Smaller, shorter and wider channels on the outside of the cover (terminating ahead of the suspension) allow for a tighter inner cooling outlet which of course creates more room for the airflow to migrate around the coke bottle, increasing the performance of the floor and diffuser. 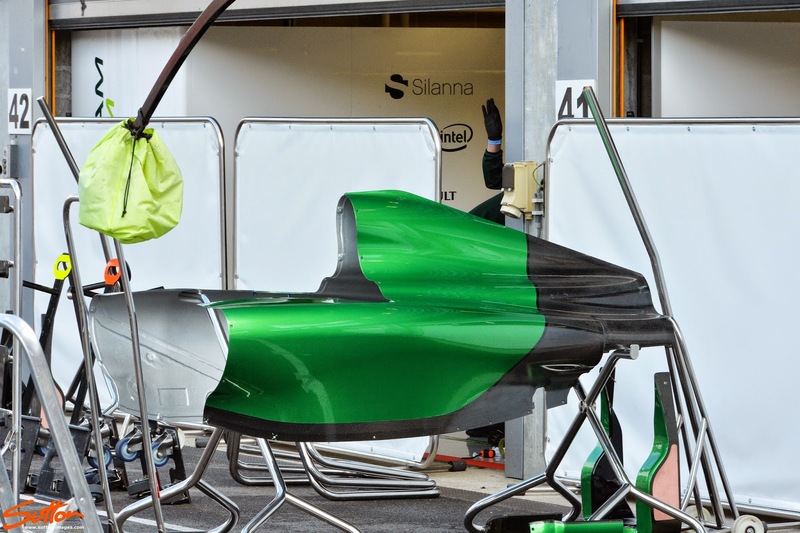 Also worth noting is the new paint scheme on the Caterham, dropping the mixture of Green, White and Black down to just Black might not seem like a huge weight saving but every little matters. Furthermore this is a recognized Colin Kolles tactic (weight reduction) in order to gain competitiveness.